Follow a planned course of excellence. To help simplify your PD planning, Marzano Research has designed professional learning experiences closely aligned to the research and recommendations found in our books. With high-quality, targeted content and the flexibility to adapt to your schedule and needs, our services make it easier to plot an intentional path to success. 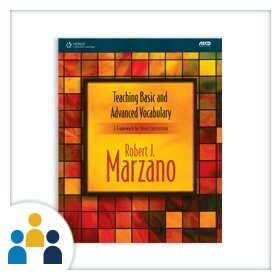 Implement a comprehensive vocabulary program. Build a system of excellence that ensures students can understand complex texts, engage deeply with content-area concepts, and participate in academic discussions. 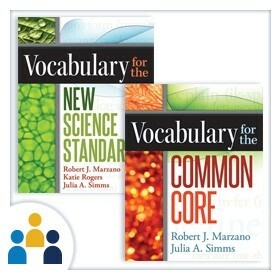 Provide students with the vocabulary and knowledge that they need to succeed. Follow a research-based, six-step process to improve vocabulary instruction and boost student achievement. 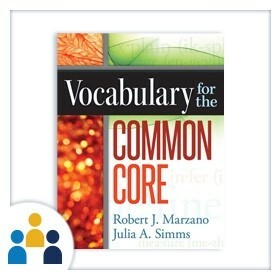 Ensure mastery of essential vocabulary from the Common Core. This workshop guides schools and districts through the creation of a successful vocabulary program, highlighting academic and content-area terms taken directly from the CCSS for mathematics and English language arts. Boost your science and engineering instruction. 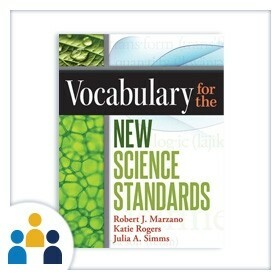 This workshop guides your school or district through the process of creating and implementing a comprehensive vocabulary program for terms taken directly from the Next Generation Science Standards (NGSS).